Just like trees, hedges require regular maintenance to keep them healthy, safe and under control. They need to be pruned in the early stages of growth, for example, so they take on the desired form, and then they should be trimmed at least once a year to stop them from getting overgrown. Here at Fair Oaks Tree Services, we offer a full range of hedge trimming services to ensure your hedge is a suitable height, shape and density for your needs. When a hedge is first planted, it requires formative pruning. This helps it take on the desired shape while it is young, so that it looks as neat and attractive as possible for years to come. Formative pruning also stops the branches from becoming cluttered and overcrowding the hedge, improving its chances of remaining healthy. If a hedge produces fruit, for example, formative pruning helps to ensure that the fruit is as large and high quality as possible. We always advise carrying out formative pruning just after a hedge has been planted. The time of year this should be done depends on the type of hedge: while new deciduous hedges (e.g. beech, hawthorn and hornbeam) should be pruned in winter, new evergreen hedges (e.g. conifers) need to be pruned in spring. 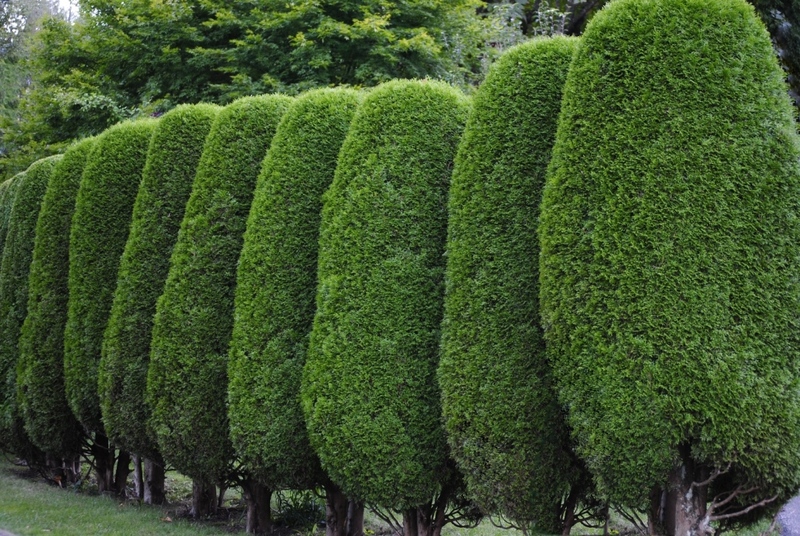 At least once a year, maintenance trimming is needed to keep your hedges healthy, in shape and the right size – whether they’re relatively young or fully established. For both deciduous and evergreen hedges, maintenance trimming is ideally done in the summer. The size and type of the hedge determines how we trim it (for example, with shears or an electric hedge trimmer, and what cuts we make), and we know the best solutions for every type of hedge. 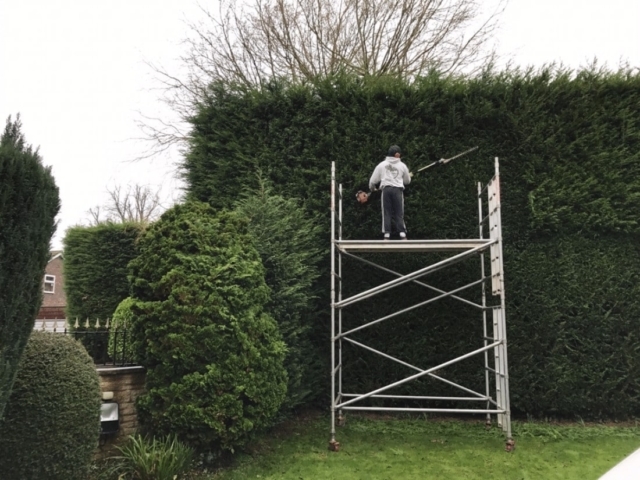 Trimming your hedge does not just keep it looking neat and tidy, it also makes sure that the foliage is dense and compact – ensuring the privacy of your garden. 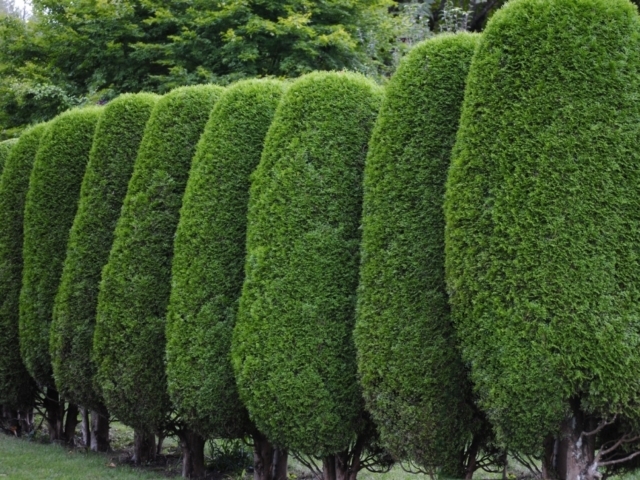 Our expertise in hedge-specific cutting techniques means that it will be completely free from bare patches, creating a beautifully dense hedge that lets just the right amount of light into your garden. While we want to make sure your hedges look as smart as possible at all times, we also know that a lot of birds use hedges for nesting spaces. As such, we always avoid pruning or trimming when they are doing so (in fact, it is an offence under the Wildlife and Countryside Act 1981 to damage the nest of a wild bird). We can advise you on the best times to hire our NPTC-qualified arborists to trim your hedges, while respecting nature at the same time. Here at Fair Oaks Tree Services, all our work comes with £5m public liability insurance, including our hedge trimming services. 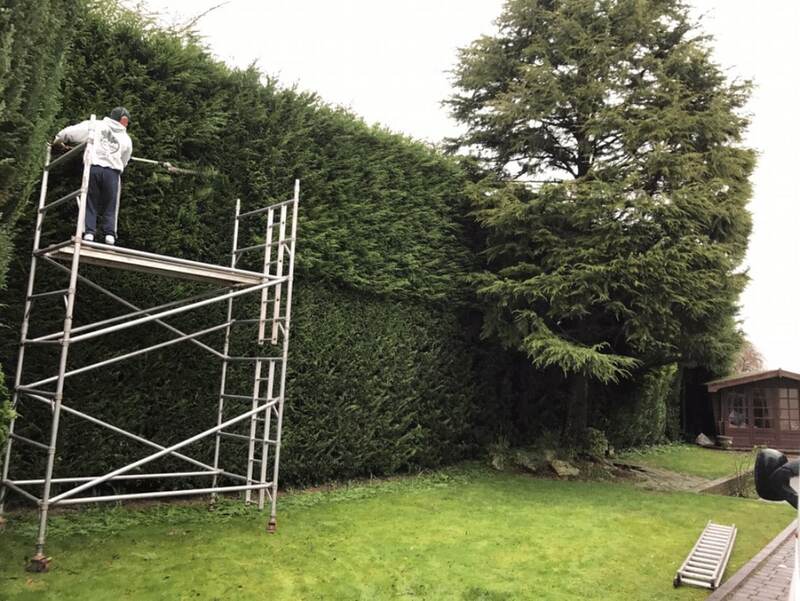 To find out how we can help you develop a beautiful hedge for your property in South London, Surrey or a surrounding area, contact us today.